Though dry, rough skin has unique needs, the causes behind it aren't so out of the ordinary. We've partnered with Aquaphor® to reveal potential (and superobvious) reasons for your dry skin woes, plus the one product to improve them all. When asked to classify your skin type, three categories usually come to mind: oily, combination, and dry. But in reality, it's not quite that simple. Beyond these three parent categories are more specific concerns with treatments, needs, and products all their own. One leading example? Dry, rough skin. More than just your traditional slightly dehydrated, may-or-may-not flake in the Winter complexion, dry, rough skin is unique in that it comes with granular texture and varying levels of discomfort. To help understand the unique characteristics and needs of dry, rough skin, we reached out to dermatologist Dr. Joshua Zeichner. The first thing he wants you to understand? "Dry skin is not dead skin. The outer skin layer is very much alive, and dry skin means that the outer layer is not working as well as it should be. The barrier is disrupted," he explained. "When water loss across the skin becomes significant, it can lead to disruption of the outer skin layer." With that in mind, it's important to first understand why the outer layer of your skin isn't working, and then find a way to protect the barrier. So as the colder months begin to roll around and more beauty brands innovate with first-to-market products, ingredients, and formulas, we knew a unique solution for this common skin issue was in the pipeline. Thankfully, it's here sooner than we expected — and it's thanks to Aquaphor®, the maker of the cult-favorite multitasking Healing Ointment. 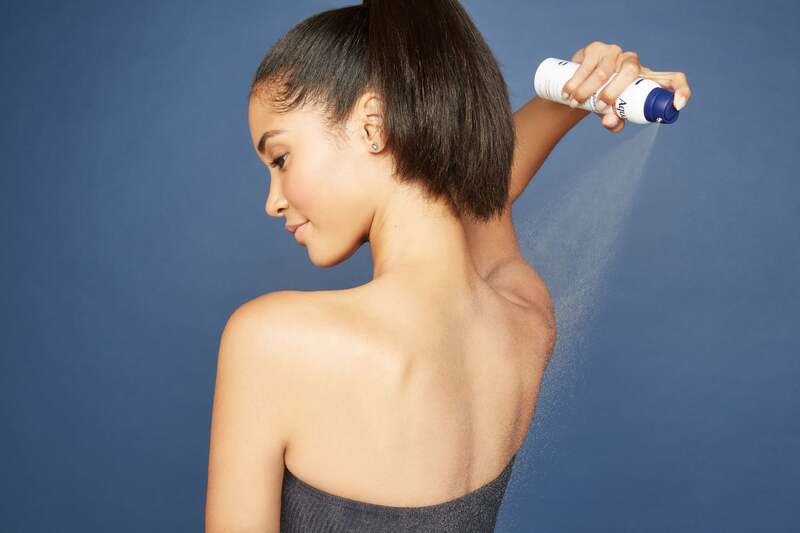 Read on to see the five shockingly common culprits of your dry skin woes, plus how the new Aquaphor® Advanced Therapy Ointment Body Spray ($11) will help solve them all. Come nighttime, all we want to do is fall face first into our comfortable beds. This can make finding the motivation to go through a nighttime skin routine seem like an impossible task. But Dr. Zeichner encourages readers to put laziness aside and take care of their skin. Besides standard nighttime staples like face-washing and tooth-brushing, he cites skipping pre-bedtime moisturizing as a key culprit of prolonged dry, rough skin. Can't bare to spare the extra time or effort to do it? Consider an ointment spray your BFF. Not only is it easy to cover even the largest of areas — from your legs to even your back! — in a matter of seconds, but the protective moisture barrier it creates will lock in hydration for the entire night. And if you're really feeling lazy, you can even keep one at your bedside. From belting out your favorite moody ballad to avoiding that inevitable gust of postclean cold, steamy, long showers can be good for the soul. Unfortunately, the benefits for your skin don't quite match up. "Long, hot showers strip the skin of essential oils and lead to barrier disruption," Dr. Zeichner says. Luckily, Aquaphor® Ointment Body Spray leaves behind a light-yet-protective layer that improves the moisture of your skin for an entire day without the need to reapply. Even better, an ointment spray is easy to apply. Few things feel more indulgent and restorative than a personal at-home spa day topped off with an exfoliating skin treatment — candlelit bath optional. While there's no harm in reaching for your favorite exfoliant every once in a while (we all deserve the occasional break, after all! ), make sure to be mindful of how often you're doing so. Dr. Zeichner says that overexfoliation and excessive scrubbing can lead to dry, rough skin. Gone overboard on exfoliating? The ingredients in the Aquaphor® Ointment Body Spray — moisture-locking petrolatum, moisturizing and restorative glycerin and panthenol, and soothing bisabolol — will provide the immediate relief your skin needs. Not even oily skin types can fight the toll that frigid temperatures and dry Winter air takes on our bodies. But when already-dehydrated skin meets a serious moisture shortage in the air, it's practically a recipe for a dry, rough skin disaster. To beat this, Dr Zeichner offers one main suggestion: "Protect and nourish your skin barrier while you sleep". The first way to do so? "Use a product that truly forms a protective seal around the skin." We already know the Aquaphor® Ointment Body Spray has this under control, so check. As an additional aid, he recommends running a humidifier to ensure your home and bedroom have adequate moisture at all times. Indoor climates can take a toll on your skin, too, after all! Like your shampoo, conditioner, and favorite beauty products, all soaps are not created equal. This may be a little known fact to the amateur skincare buff, but soap in its true form can actually be quite damaging. "True soaps use harsh alkaline surfactants that disrupt the skin barrier, which naturally has a slightly acidic pH," Dr. Zeichner says. This means that pure soaps contain a high amount of salt, which can easily dry out your skin. Though effective for removing dirt, it's important to use a soap that also offers moisturizing skin benefits or follow up hand and body washing with a product that'll restore moisture and keep it contained, like the Advanced Therapy Ointment Body Spray.